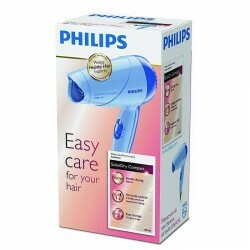 This hair dryer creates the optimum level of airflow and gentle drying power, for beautiful results every day. Compact and ergonomic, this hairdryer benefits from a clever modern design. This results in a dryer that is light and easy to handle yet small enough to store virtually anywhere.